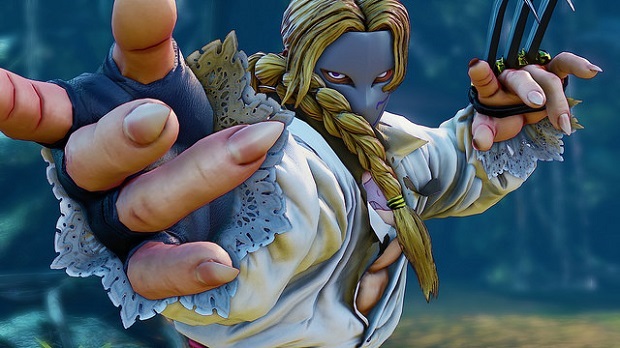 Capcom has announced that Vega will be a returning fighter in Street Fighter V.
A post on the PlayStation Blog reveals that Vega will have access to two different fighting styles in the upcoming fighting game dependent on whether or not he uses his trademark claw. Both fighting styles will have to distinct movesets depending on whether or not Vega is using the claw, with players being able to switch between both styles on the fly. Those who are attending Gamescom will be able to play as Vega at the Street Fighter V demo on the showfloor. Vega joins the likes of Ken, Birdie, and Cammy as returning characters in the upcoming fighter. Capcom revealed the first new character debuting in Street Fighter V named Necalli at this year’s EVO. Street Fighter V is coming to PC and PlayStation 4 next year, and Capcom is planning to release the game simultaneously worldwide. For more on the latest iteration of the long-running fighting series, check out our preview from this year’s E3.